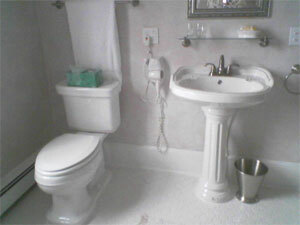 Scroll down to see photos of the guest rooms! We do not require a minimum stay. Please contact us for special pricing for extended stays. We offer a corporate rate for weekday travelers staying at least three nights. Flat panel television with basic cable. DVD player available by arrangement. Full breakfast on weekends. Weekday breakfast such as fresh homemade scones or muffins, fruit and yogurt. Fresh fruit smoothies served every day after 8:15 a.m.
We care about a hypo-allergenic and green environment. For details, click here. The Maple Room offers two full size beds with matching maple dressers, and features a four season fireplace and en-suite bathroom with extra-large Jacuzzi airtub and separate tiled shower. See the list above for other room amenities. This room has the subdued natural lighting of a Northern exposure, and is very quiet. 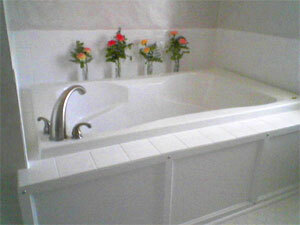 The rate is $110.00 per night for one or two guests on Sunday through Thursday nights. 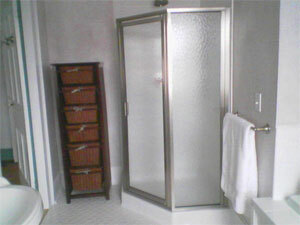 On Friday or Saturday, the rate is $150.00 per night, with full breakfast included. 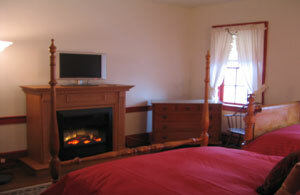 We can set up a twin bed in the room to accommodate an additional guest at a rate of $20.00 per night. The Cherry Room provides a Queen size bed and antique wardrobe, as well as other furniture in a mix of dark woods and a four-season fireplace. 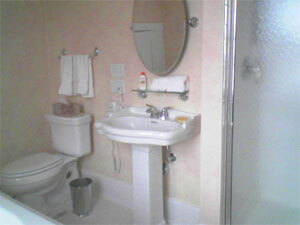 An en-suite bathroom adjoins this room with a two-person Jacuzzi airtub and separate tiled shower. See the list above for other room amenities. This light and bright room has 4 windows, and features exceptional original woodwork. 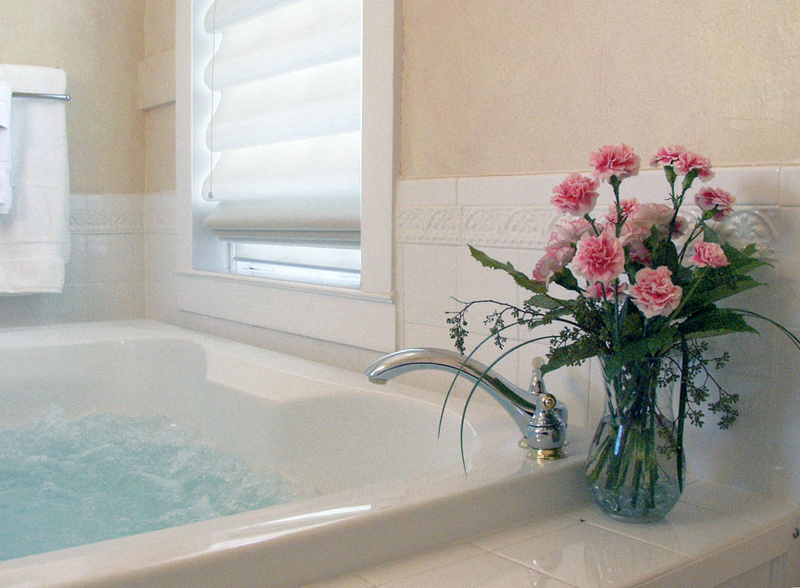 The rate is $110.00 per night for one or two guests on Sunday through Thursday nights. 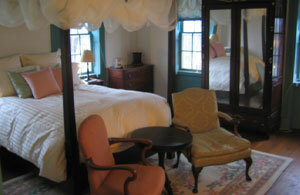 On Friday or Saturday, the rate is $150.00 per night, with full breakfast included. 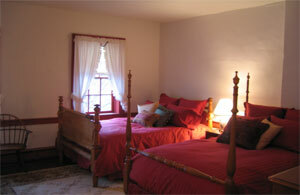 We can set up a twin bed in the room to accommodate an additional guest at the rate of $20.00 per night.